"George was one of the first people I met when I came to Chicago in 1975," Bob Simpson said. "I took a job as a CPS substitute teacher and joined Substitutes United for Better Schools (SUBS), which George had organized. I became a contributor to the SUBS newsletter (Substance), which George edited. "I learned so much from George about Chicago history and politics, especially about the city’s institutional racism. He was a meticulous editor and researcher so I also learned a lot about journalism from him." 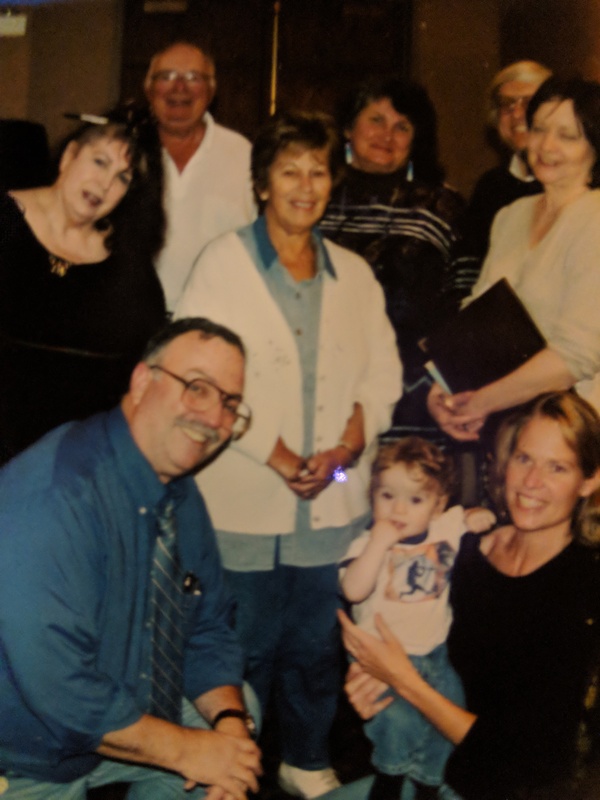 George, Sam and Sharon Schmidt, with Substance staff members Lotty Blumenthal, Al and Marlene Korach, Terry Daniels, Tom Sharp and Terry Czernik in 2002.Retired teacher Lotty Blumenthal wrote the following: "George’s brilliance was only exceeded by his grit. He was fearless. His fearlessness made him a thorn in many politicians and inept administrators’ sides. His many personal sacrifices changed the way media journalism covered, wrote about education and society around him. Before George used Substance to uncover truth in education, media reporters seldom covered Board of Education meeting and corruptness or ineptitude. Few people spoke at the Board of Education meetings. George changed all that with his fearless for uncovering scandals. His legacy is the changes that have been wrought in these areas."